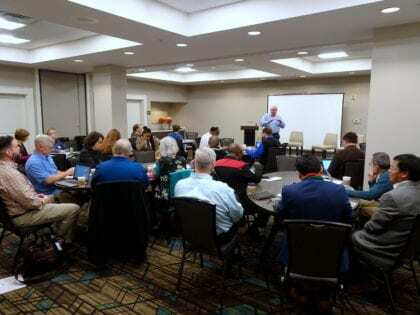 Escaping 14 inches of snow, two Churchnet leaders managed to trek to Orlando, Florida, on January 14 for a meeting of the North American Baptist Fellowship. Churchnet is a member body of NABF, which unites 22 Baptist bodies with more than 19 million members in Canada and the United States. 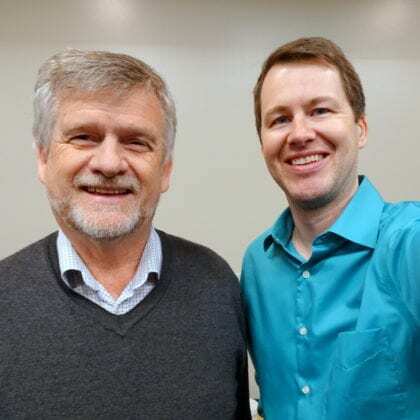 Both Executive Director Brian Ford and Associate Director Brian Kaylor attended the meeting to strategize with other Baptist leaders and share their thoughts during forum sessions. 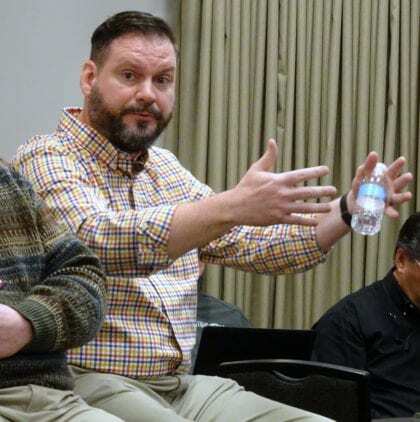 Brian Ford talking during a forum on evangelism. Brian Kaylor with NABF General Secretary Jeremy Bell.